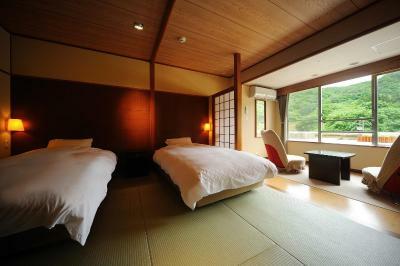 Lock in a great price for Airinkan - rated 8.2 by recent guests. Although the staff didn't speak good English, she still tried her best to provide us everything we need. 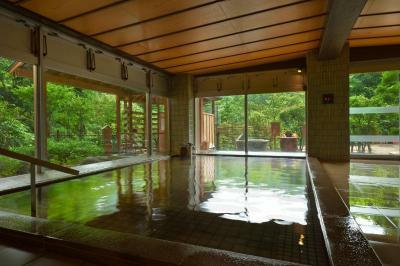 And also, the onsen is pretty nice! Will highly recommend my friend to stay here. Frühstück und Abendessen waren beide ausgezeichnet. Die heißen Quellen sind wunderbar und man hat viele Auswahlmöglichkeiten. 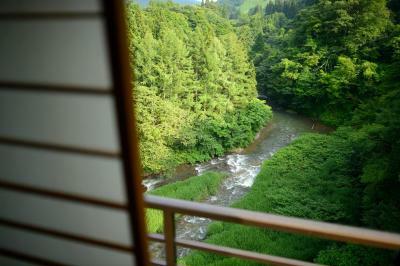 Located within a 30-minute drive from JR Hanamaki Train Station, Airinkan offers free Wi-Fi throughout the property. 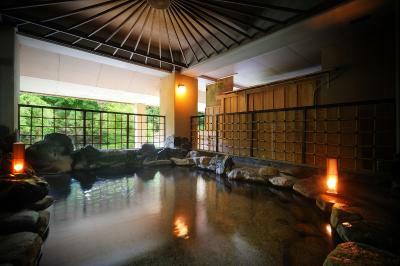 A free shuttle service from JR Hanamaki Train Station or JR Shinhanamaki Train Station is available. 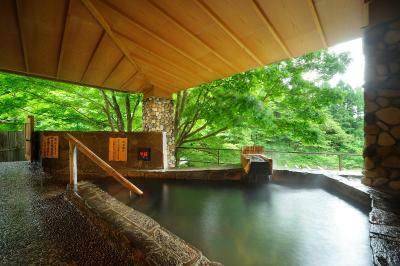 There are 17 indoor/outdoor hot spring baths from 3 locally sourced hot springs. 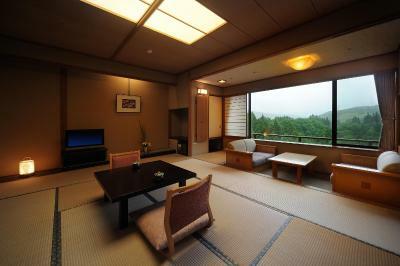 There are Japanese-style rooms with tatami (woven-straw) flooring and Western-style rooms featuring a seating area and flat-screen TV. 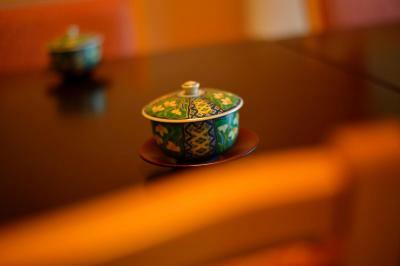 Each are equipped with a refrigerator, a green tea set and an electric kettle. 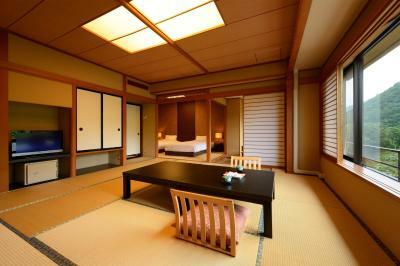 Yukata robes and free toiletries can also be found in rooms. 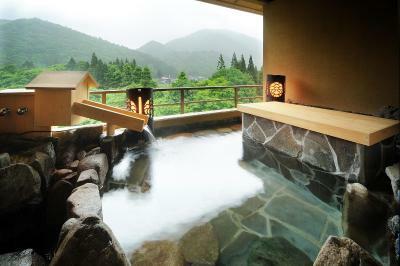 At Airinkan Ryokan, guests can borrow bicycles at the front desk and explore the area, karaoke at a surcharge or enjoy soaking in the various hot spring baths with a view. 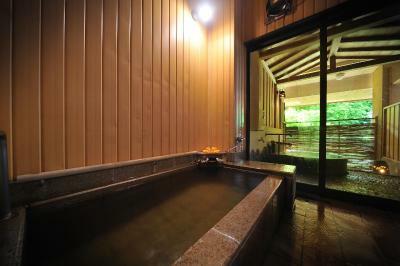 Private hot spring baths and stone saunas are also available at a surcharge. Table tennis facilities, a gift shop and drinks vending machines can also be located on site. 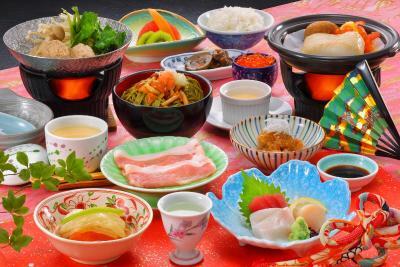 A traditional Japanese-style dinner featuring seasonal produces from Japan and the Tohoku region and a breakfast buffet with Japanese/western dishes are served in the dining room. 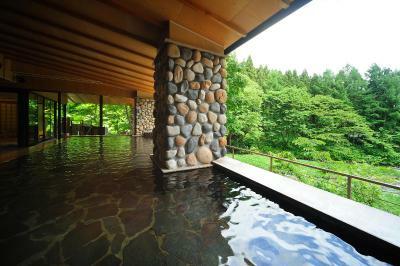 Hanamaki Airport is located a 35-minute drive away, while Kenji Miyazawa Museum is located a 40-minute drive from the property. 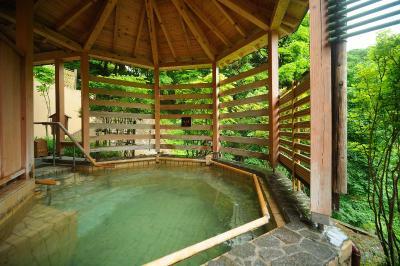 Hanamakishinamari Hot Spring Ski Area can be accessed within a 10-minute walk. 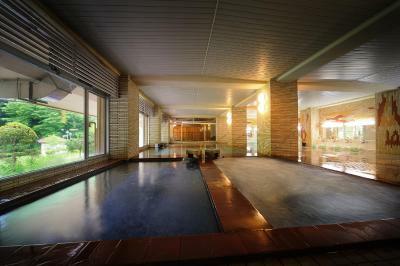 This property is also rated for the best value in Hanamaki! Guests are getting more for their money when compared to other properties in this city. 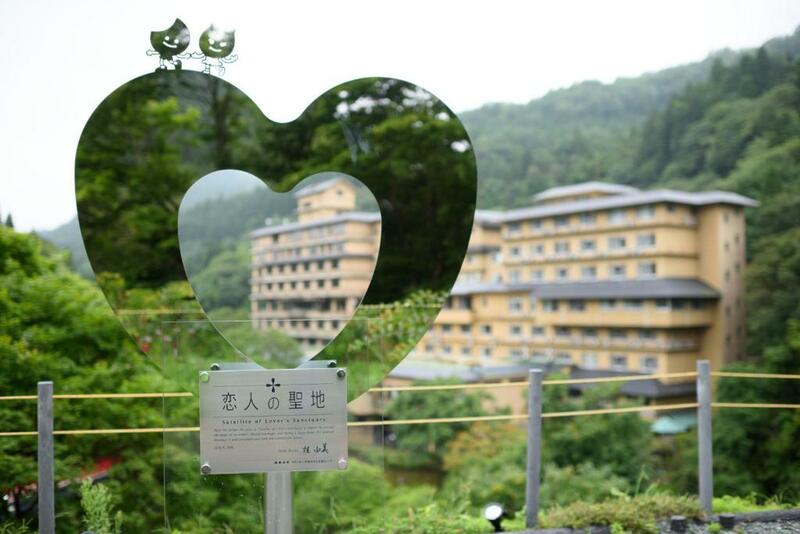 Airinkan has been welcoming Booking.com guests since 25 Dec 2013. 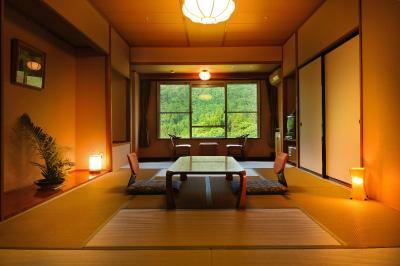 When would you like to stay at Airinkan? 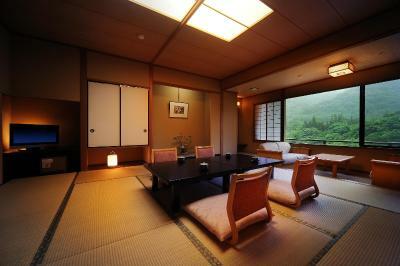 Traditional Japanese rooms feature tatami (woven-straw) flooring, a seating area and a flat-screen TV. 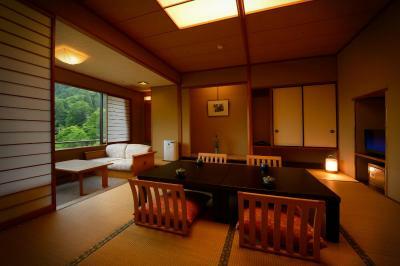 Each are equipped with a refrigerator, a green tea set and an electric kettle. 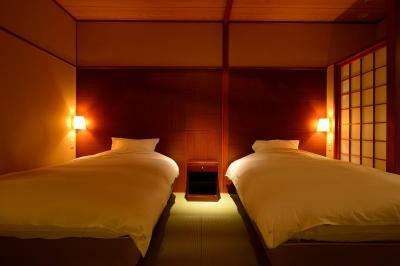 Yukata robes and free toiletries can also be found in rooms. 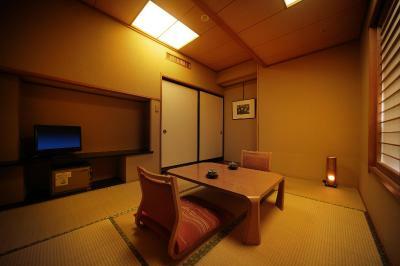 Larger traditional Japanese rooms feature tatami (woven-straw) flooring, a seating area and a flat-screen TV. 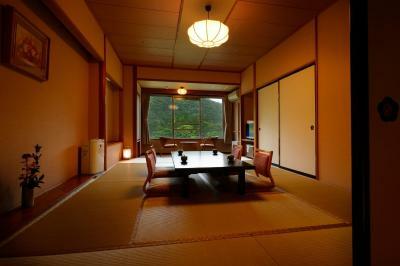 Each are equipped with a refrigerator, a green tea set and an electric kettle. 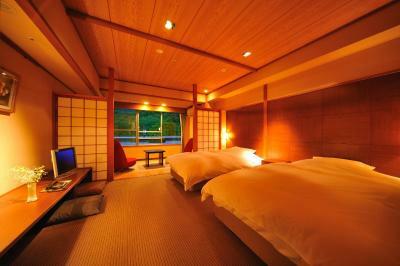 Yukata robes and free toiletries can also be found in rooms. 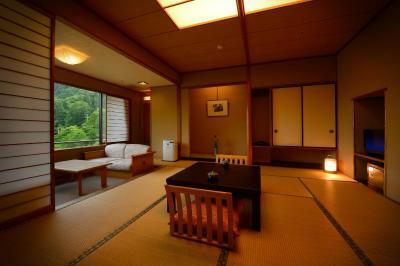 This room features views of Toyosawa River. 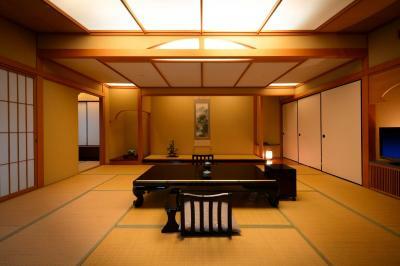 Larger, traditional Japanese rooms feature tatami (woven-straw) flooring, a seating area, air purifier/humidifier and a flat-screen TV. 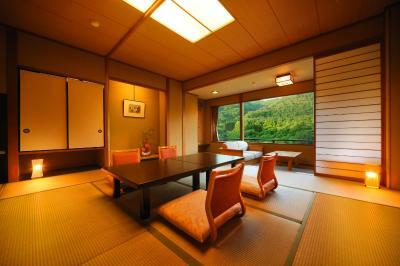 Each are equipped with a refrigerator, a green tea set and an electric kettle. 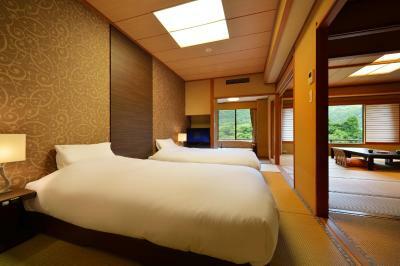 Yukata robes and free toiletries can also be found in rooms. 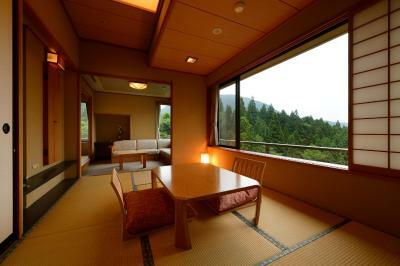 This room features views of the mountains and river. 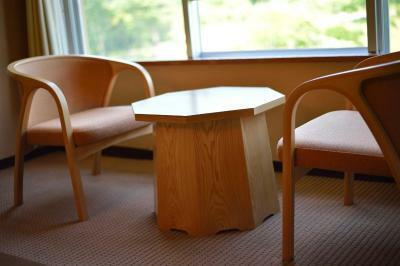 These rooms are located in the new annex building. 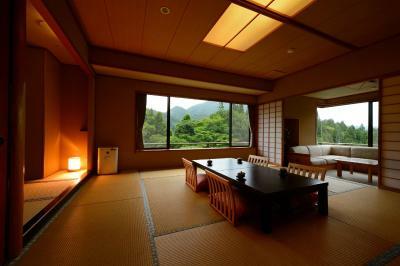 This family room has a mountain and river view, sofa and electric kettle. 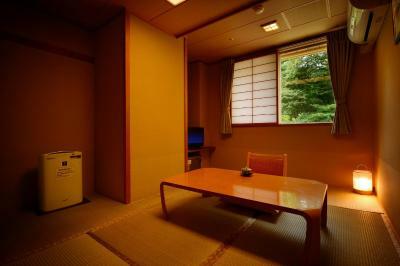 This twin room features air conditioning, electric kettle and satellite TV. 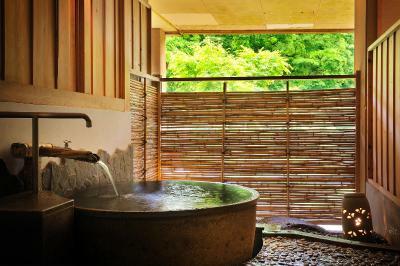 This suite features an outdoor bath and Japanese aesthetics. 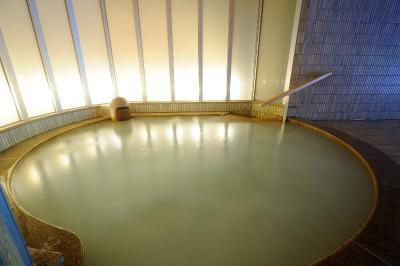 An electric kettle, refrigerator, sofa, air conditioning, air purifier and humidifier are provided. 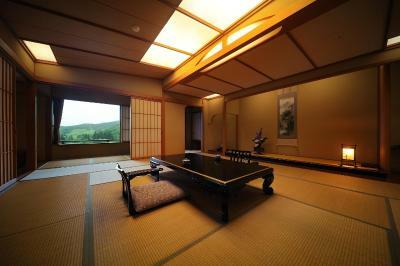 Room size is 24.8 square metres. 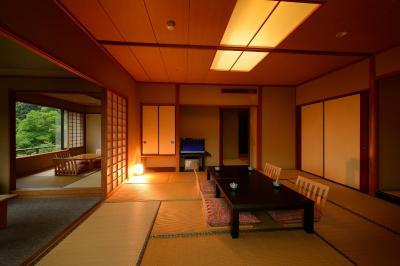 This Japanese-style family room features tatami (woven-straw) flooring, a sofa, satellite TV and electric kettle. 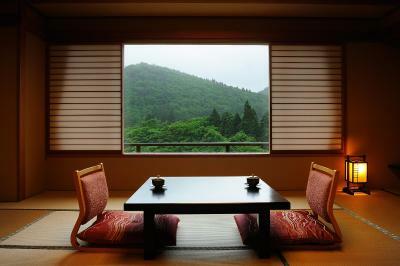 This room features views of the river and mountains. 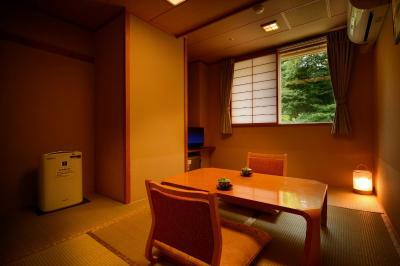 This Japanese-style twin room features air conditioning, a massage chair and electric kettle. 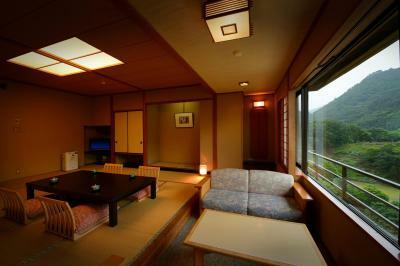 This single room features a satellite TV, air conditioning and electric kettle. House rules Airinkan takes special requests - add in the next step! Airinkan accepts these cards and reserves the right to temporarily hold an amount prior to arrival. To use the property's free shuttle from JR Hanamaki Train Station (35-minute drive) or JR Shinhanamaki Train Station (40-minute drive), please make a reservation at least 3 days prior to arrival. Contact details can be found on the booking confirmation. 14:00, 15:10, 16:10 and 17:10. 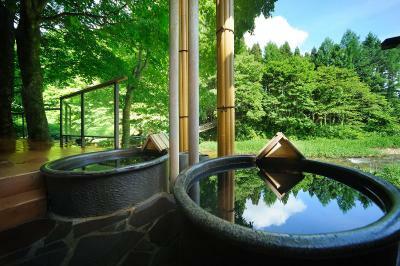 To use the property's private bath, please make a reservation in advance. Contact details can be found on the booking confirmation. Please inform Airinkan in advance of your expected arrival time. You can use the Special Requests box when booking, or contact the property directly with the contact details provided in your confirmation. 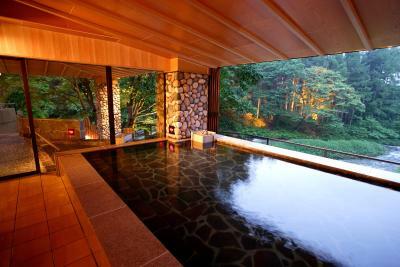 Dissapointing Ryokan experience... for someone who has been to many. 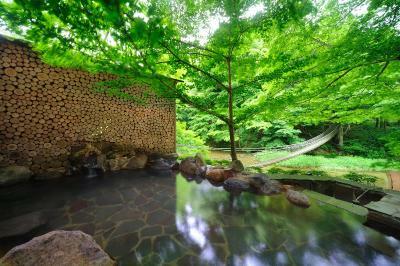 (those in group who this was first Ryokan thought it was excellent). 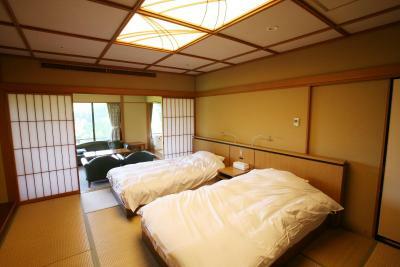 Rooms much smaller than comparable Ryokan (6 tatami for 4 people for example). Long shuttle bus ride to the Ryokan, but it was far from the JR station. I had problems with my room that the staff could not resolve (there was no language problem, but they just shook their head and waited for me to just pay and leave). 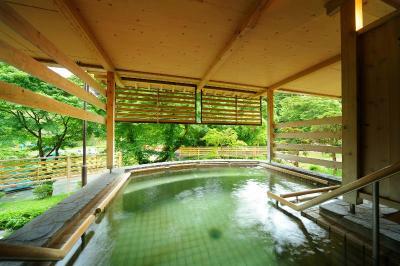 Good Onsen Facilities - though confusing so many different baths! Dinner was served even for our group in a central facility. 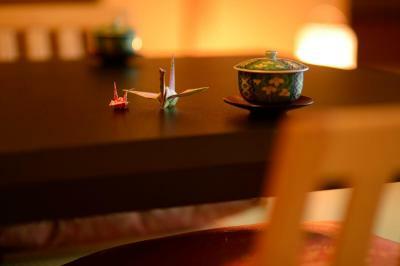 Partly ready at table, some buffet service. 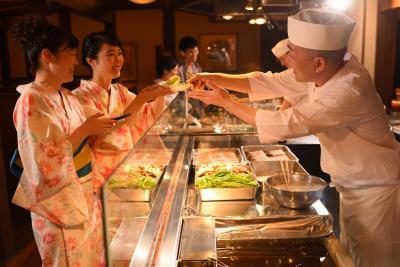 Breakfast was buffet, was OK.